This is one of our linen-look fabrics, following a plain, open weave construct. A coarse weave, this custom print fabric is made of large textured spun yarns of varying sizes. 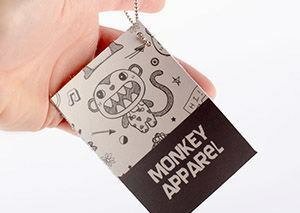 Weighing 6.8oz, it is a solid fabric, which has a very thick mesh-like quality. Dorchester Fabric is soft although completely taut, with no elasticity. 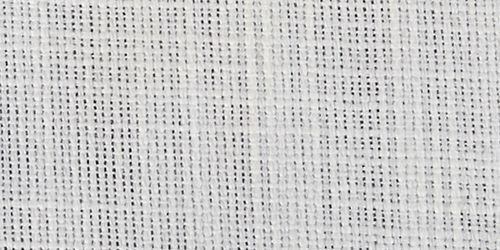 We sell this linen fabric by the yard, and it has a matte finish to it with an off-white base. It is slightly opaque, allowing areas of print and color to shine through when held up to the light. 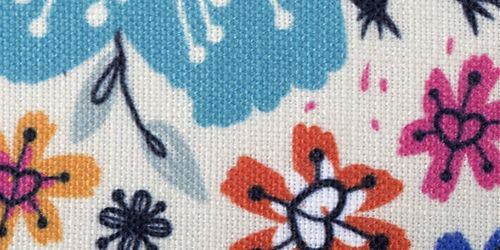 When Printing on Linen Dorchester Weave Fabric, you can expect crisp, clear print quality, and a gorgeous all over finish. The front and back texture are mirrored; both are matte with a very slight sheen when caught by the light. Dorchester weave is a textured yet soft fabric with a diverse fiber base of varying sizes. When it comes to the feel of the fabric on the body, it is firm yet soft to the touch, comfortable and malleable. 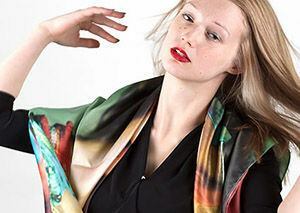 It holds a nice, easy drape with a natural fall. The Base color of the fabric is an off-white with a matte finish and a very slight sheen. The range of colors look strong and bold against the off-white background, darker colors stand out very well. Details of the final print are of good quality, with the lines being clear and colors even. Try to avoid very intricate designs, as there is a chance that the surface texture may interrupt very small intricacies. 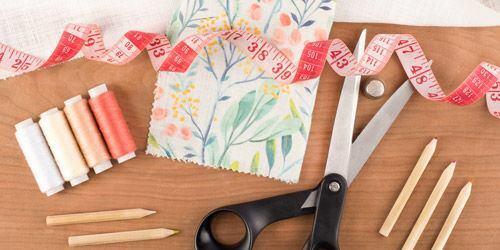 This fabric lends itself perfectly to craft projects. The multiple qualities of the fabric makes it ideal for soft furnishing, such as cushions and homeware accessories. 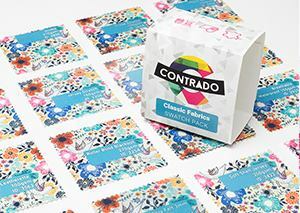 Fantastic Contrado printed for us artwork created by Andy Warhol. We used the piece of cotton cloth as a banner that was launched up in the stratosphere by a weather balloon, as part of a celebration of Andy's 90th birthday held at his gravesite. The quality of the print was superb. The two-day manufacturing time is the shortest I have ever experienced. The price was affordable. We are _very_ pleased with the overall experience. Thank you. Good quality and good customer support! The product was in great condition and they even sent me an email with pictures before it shipped to make sure it looked alright. I would definitely buy from here again. Is this a lightweight fabric? Dorchester is slightly less tight than our other linen-look fabrics due to the increased fiber size. All however are soft and suitable for upholstery, but the Dorchester is a little finer. What is Dorchester Weave like? The custom print Dorchester Weave fabric has a structured yet rustic look, which makes it very versatile. It has a beautiful, soft texture, with a slight stretch built in, especially on the diagonal. 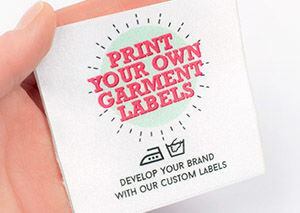 If you would like to see how your designs will look on this linen effect fabric, try ordering some test prints. Is this the same as regular linen? This is one of our linen-look fabrics, it has very similar qualities to linen, just with the added bonuses of an easy wash and higher durability due to being enforced with synthetic fibers. More linen fabrics will be added to our fabric collection very soon.